Pola Kinski, the elder daughter of the late German actor Klaus Kinski, has accused her father of sexually abusing her between the ages of 5 and 19. Pola KInski, 60, told a German magazine she had broken her silence because of the continuing adulation Klaus Kinski enjoyed, more than 20 years after his death. Klaus Kinski starred in some of the most famous German films of the 1970s and early 1980s, directed by Werner Herzog. His numerous sexual liaisons with adults were well documented. Klaus Kinski made a name for himself in spaghetti westerns such as For a Few Dollars More before starring in Herzog films including Aguirre The Wrath of God (1972), Nosferatu the Vampyre (1979) and Fitzcarraldo (1982). Werner Herzog was not prepared to comment on the revelations, said the director’s brother, Lucki Stipetic. A biographer of the actor, Christian David, said there had been rumors about the relationship between Klaus Kinski and his daughter Pola for years. “In Europe, especially in Germany of course, Klaus Kinski has a solid fan base and is considered an idol by quite a few,” he said. Pola Kinski, herself an actress, spoke to Stern ahead of the release of her autobiography, Kindermund (English: The Mouths Of Babes). “The terrible thing is that he once told me that it was completely natural, that fathers all over the world did that with their daughters,” she said in the interview, published on Thursday. She had kept quiet about the abuse for years, she said, because her father had forbidden her to talk about it. Now 60, Pola Kinski said she had got to the point where she could no longer stomach the accolades heaped on her “genius” father. She also wanted, through her book, to help “others who have lived through something similar”. 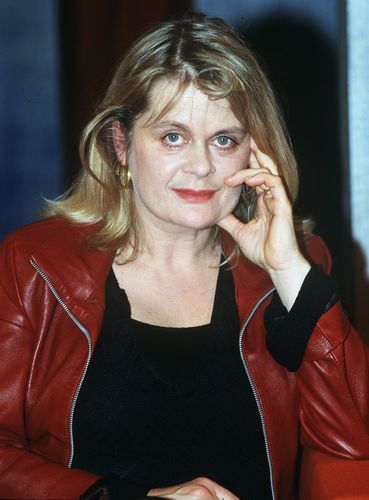 Germany’s top-selling tabloid Bild commended Pola Kinski as a “heroine” for having had the courage to talk about “what probably thousands of daughters do not dare to say”. Before the revelations in Stern, Klaus Kinski, who died in 1991 in California aged 65, was best-known for his intense acting style and tempestuous character off-screen. While some Germans went on social media to voice contempt for the dead actor, there were also fans who found the image conjured up by his daughter hard to believe. But Christian David, whose biography of Klaus Kinski was published in 2006, defended the daughter’s decision to speak out now. “Unfortunately, until recently she wasn’t ready to publicly speak about it – thus, I wasn’t able to mention any of it in my book,” he said. “But Pola was totally entitled to choose the right day to come out on this. We have absolutely no right to blame her for this, and no right to immediately mistrust her or to suspect she would do this just to sell her book. “Child abuse is a heinous crime, there is no room for forgiveness, and I support a zero tolerance policy. There was no immediate comment on Pola Kinski’s book from her half-siblings, Nastassja and Nikolai, when their representatives were contacted by Reuters news agency.